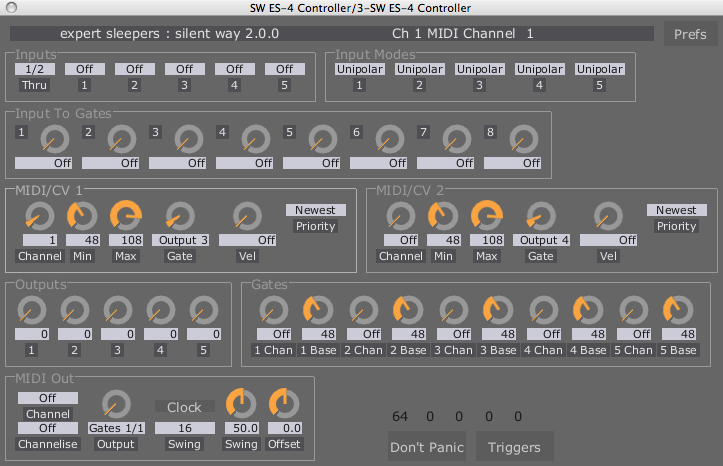 A new version of the Silent Way ES-4 Controller software is now available from the downloads page. This adds the ability to route audio or CVs through the plug-in to the ES-4, allowing integration with the rest of the Silent Way suite. It is also now possible to ‘stack’ multiple ES-4 Controllers, allowing for e.g. multiple streams of output MIDI.